1 What are nursing clogs? 3 What to know before buying clogs? 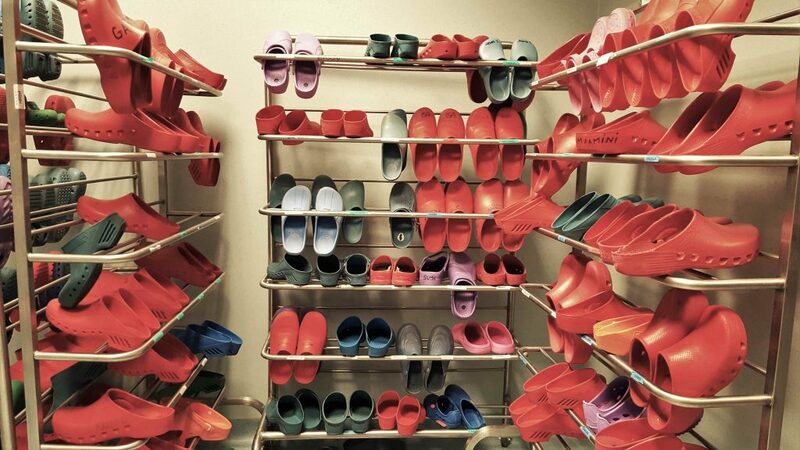 If you’ve ever been to a hospital, you’ve surely noticed that almost all nurses wear clogs. The reason why they choose this particular type of footwear is simple – clogs are comfy. As you know, nurses spend a lot of time on their feet and clogs enable them to minimize or alleviate back, knee, foot, or ankle pain, which is very common in this line of work. Today, I’ve decided to review the 5 best nursing clogs that I could find to help people pick a suitable model for themselves. 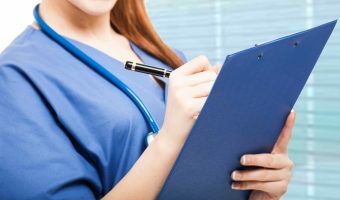 No matter whether you are a nurse or someone looking for comfortable shoes, I’m sure that you’ll discover a useful piece of information in my scribbles. Nursing clogs are a particular type of clogs popular in the nursing profession which are designed to provide their wearer with comfort, protection, and foot support. While most traditional clogs are made out of wood, nursing clogs consist of various materials including rubber, leather, etc. They are an essential piece of equipment in the medical field as hospital workers tend to spend considerable amounts of time walking or standing. A nurse’s job often involves carrying and holding patients, and this is how most medical workers get injured. Clogs help to prevent this because their sole is much sturdier than that of a sneaker which provides support to nurses’ feet and ankles. This also takes the load off one’s back thus decreasing the chance of damaging their spine. Combined with a pair of compression socks, these clogs can be a real lifesaver for anyone who walks a lot. When you work a 12-hour shift comfort is a must, and clogs provide this. Clogs do not have laces like regular shoes or trainers, and this is good because there is no pressure on the top of the foot which would inevitably cause discomfort over time. Besides, they are super easy to put on and take off. Unlike most other types of footwear, clogs are open which allows for your feet to breathe, prevents overheating and sweating. The latter not only feels unpleasant but may also cause fungal infections (e.g., athlete’s foot). 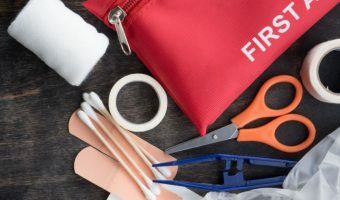 It’s an understatement that being a nurse is a stressful occupation, which is why it is crucial to find ways to make it more bearable. Having breathable, comfortable, easy to slip on footwear, will surely help anyone keep their cool and reduce the levels of stress they face at the workplace. Most of you will probably agree that trainers tend to lose their ‘sharp’ look and begin to seem worn out after only a few months of intense use. This isn’t the case with nursing clogs as they are specially made to be durable and retain their original shape even being worn for months on end. What to know before buying clogs? Clogs are pretty sturdy footwear which means that it is vital to find ones that suit your type of feet, as they won’t stretch out and adapt to your feet as sneakers do. Also, you will undoubtedly want to pick a model which looks good to you. This shouldn’t be a problem as there is a variety of styles and designs available, but it might be a challenge to find a visually appealing clog that fits your foot shape well. This is an important factor that many people neglect. A clog that is too heavy is going to leave you tired, agitate you, and make you even more stressed out. Shoes that weigh a lot might not be a problem for desk workers, but they are not ideal for nurses who have to walk all the time. Therefore, make sure to choose clogs which are light or just heavy enough. Hospitals are places where liquids often meet the ground, and this creates a need for slip-resistant shoes. Of course, one can also buy shoe grips separately, but it is still advisable to wear clogs that are not slippery regardless of any additional accessories. 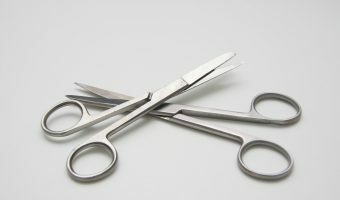 Healthcare staff often faces a risk of heavy or sharp objects falling on their feet, which is why the outer layer of the clog needs to be strong in order to protect the nurse’s body. A neat addition to clogs is the toe cap which is made from a tough material which will resist any potential hits. Not all clogs have special protection, so it is a good idea to look for those that do. One should always be wary of products which bear a high price only because of their brand. 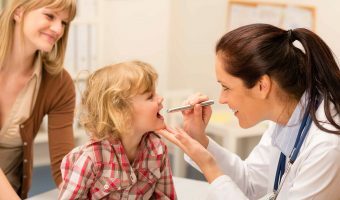 This phenomenon occurs in the world of nursing clogs, and it’s essential to know that if some model is more expensive, it doesn’t mean that it is of higher quality. My advice for you would be to look for reasonably priced shoes, and also to check the reviews of other people who have used them. Another good indicator of quality is the warranty; the longer the warranty, the more trust a manufacturer has in their product which means that it is probably durable and worth its price. Dansko is perhaps the most famous brand in the clog manufacturing industry right now, and for a good reason – their products are excellent. Let’s dissect their clog a bit more and see why it is so great. Their clogs look really nice, and their unique appearance sets them apart from their competition. The black leather exterior is covered with blue floral elements which decorate the shoe but don’t make it too flashy. The heel measures at around 2” while the platform is around 0.75”, which is a pretty standard height. This model is usually ideal for folks with wider feet, but their high instep might feel strange for certain wearers. The polyurethane sole is hard and provides solid arch support. Another benefit of this material is that it is slip-resistant, so there’s no need to worry about sliding on slippery surfaces. The clogs also include a reinforced toe box to protect the feet from falling objects, which is a very important addition. Now, a thing that might throw off some potential customers is Dansko’s price, which is a bit higher than other high-quality clogs on the market. In case you plan to wear them for a long time, I say that they are a good investment so do not mind their cost. There’s no need to introduce the Crocs brand, as I’m sure you know about their products. However, this item is a bit different than their famous model as it is specially designed for working environments. These clogs sport a simple and elegant look, and they are available in black and white colors. If you already enjoy Crocs’ other shoes than this clog will probably be great for you. They are very comfortable to wear, and their heel is 1.5” tall while the platform measures 0.75” inches. As far as the width goes, some users will find them too wide, but they will probably feel just right for most. The construction is a bit thicker around the toes to ensure protection, and around metatarsal areas to promote stability of the foot. However, this model will probably be a bit uncomfortable for people who have a high arch. When it comes to weight, they are light and will not tire your feet. One other problem with them is that they aren’t very breathable so sweaty feet will be a common occurrence if wearing them for long hours. On the other hand, the good thing is that they are slip resistant. Their cost is pretty reasonable, considering that they come from such a big brand. Crocs offer a 90-day money back guarantee for those who aren’t satisfied with their products. Meredith is a brand created by the Softwalk company which is famous for manufacturing women’s shoes. Their clogs are intended for medical staff, and now we are going to take a closer look at this product. 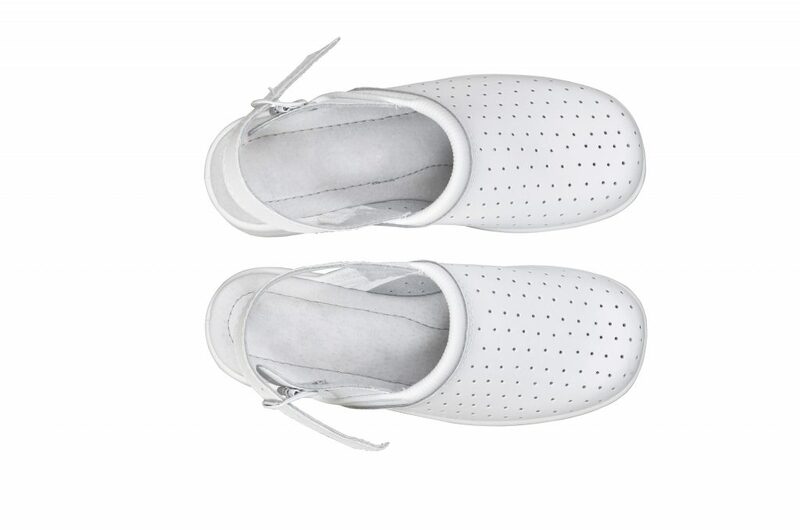 The Meredith clogs look very simple – the leather design comes in a few colors and will probably be appealing to many nurses who enjoy non-pretentious footwear. The platform measures at 0.75” which is pretty standard for this kind of product. This company excels in making the clog comfortable as they put extra attention to extra foot padding. These shoes will be good for people who are looking for arch support. Their soles are lightweight and shock absorbing, but they are not as sturdy as in some other clogs. This means that they will mold to your feet over time which can be a good or a bad thing depending on what you need. As with all other clogs in today’s article, Meredith too employs slip-resistant soles. A reported issue with this pair is that it tends to wear out relatively quickly if worn extensively. Some wearers said that the finish began to peel which can look very unappealing. The price is pretty good compared to its competition. There was no information to be found about their warranty, but you can contact the manufacturer if you want to know more about this. Skechers makes all kinds of footwear – from trainers to orthopedic shoes. Now, they have made their way into the nursing clog market, and they are doing quite well. Their clogs are made from leather, which is common material in this industry. They are available in black color but with two kinds of finishes – matte and shiny. They are quite roomy, and in some cases, people can do fine with a half size smaller shoe. The rubber sole has a reinforced midsection which aims to provide support to the foot. In addition to this, the clog has memory foam which is very comfortable but might negatively impact the stability. A positive aspect is that the shoes are lightweight which means that they can be worn for long hours easily. The non-slip feature is a must, and this model performs very well in this department. There is no reinforced toe section, but this part of the clog is rounded so that you will have more wiggle room. The price of these Skechers clogs is excellent regarding other products of the same type. Those who are interested in more information about warranty and money-back guarantees will need to get in touch with the company. This is an interesting nursing clog, imported from China and is one of the most popular alternatives for famous brands such as Dansko or Crocs. Individuals who are interested in fashion and like to try out a variety of designs will probably fancy this brand. Alegria offers more than thirty different styles which means that it will be impossible not to find one (or more) that you like. A problem that might show up after some time is that the outer layer starts to crack and peel, so they might lose their look. The shoe’s construction is a bit different from the other clogs in this list. The sole is 1.5” high while the platform goes to 1”.Alegria clogs have a removable insole in case you have ones which are more comfortable for you. The toe section is rounded which provides a lot of space for the toes to move around. However, the top of the shoe isn’t as roomy as with other clog brands, so some users suggest getting a half size larger clog because of this. When it comes to safety, the sole is slip resistant, but there is no special toe protection which is a downside. The prices of Alegria Debra’s clogs vary depending on the design, and they go from cheap to mid-priced. Slowly but surely, we’ve reached the end of this article. I know I’ve covered a lot of information so now it’s time to summarize everything into a few final thoughts. But, before I do that, I’d like to announce the winner of this round-up – the Dansko clog. It is not due to the prestige that this brand is so prevalent on the market, but because of genuine quality and good worth for one’s money. No other clog that I’ve tried displays such a combination of durability, comfort, and design, and this is my main reason for awarding Dansko with the 1st place today. If you’re not willing to spend a lot of money on clogs, then feel free to check out more affordable options as many of them do not fall behind Dansko in quality. Also, my final advice would be to try before you buy and not to neglect other people’s reviews.